WaterStone Foundation holds a FREE Eating Disorder Workshop at WE Global Learning Centre. On Monday, February 4th, 2019 WaterStone Foundation provided a Free Eating Disorder Workshop to 135 people in person and over 350 individuals online from all over Canada. Dr. Madalyn Marcus, Ph.D., C. Psych and Registered Dietitian Susan Osher, MSc, RD, CEDRD provided an informative and engaging day to a variety of healthcare professionals. The ED 101 workshop provided information to learn the early signs of an eating disorder, understand the medical and psychological complications, the nutritional requirements and nutritional management, as well as an excellent overview of the types of necessary treatments. WaterStone Foundation would like to thank Dr. Madalyn Marcus and Susan Osher for an outstanding day. We would also like to send a big shout out and thank the WE.org for hosting this workshop at the impressive WE Global Learning Centre in Toronto. Thank you to NEDIC, Mental Health Commission of Canada and the Canadian Mental Health Association for showing us your support. TORONTO, ON, February 1, 2018 — WaterStone Foundation has announced $100,000 in new funding to support three facilities in Ontario delivering innovative, progressive programming to people with eating disorders and their families. Building on WaterStone Foundation’s awards program established in 2016, the funding announcement also marks the start of Canada’s National Eating Disorder Week February 1-7, 2018. Thanks to the generosity of our donors, WaterStone Foundation has distributed over $270,000 in funding to both private and public eating disorder programs in Ontario since 2015. Core to the decisioning process in allocating funds is WaterStone’s mission to increase access and capacity for treatment so that more people can get help and focus on funding new innovative treatment initiatives that address identified gaps in service. In 2016, four public facilities offering highly specialized, progressive treatment programs received a total of $170,000. WaterStone Foundation also provided $50,000 to individuals who required specialized treatment at private facilities. In 2017, WaterStone Foundation reached out to 20 public and private sector eating disorder treatment programs in Ontario with a Request for Proposal. Fourteen applications were received. After careful review and in-depth evaluation, three award recipients were selected. Toronto General Hospital is the largest hospital in Canada providing intensive treatments for individuals with moderate to severe eating disorders. The eating disorder program at TGH has international recognition and a reputation as a center for excellence in treatment and research. Approximately 120 individuals are treated in the day hospital annually and approximately 70 are admitted for inpatient treatment. Posttraumatic stress disorder (PTSD) frequently co-occurs with eating disorders and is thought to be one reason why a significant proportion of individuals with EDs don’t finish their treatment or continue to have significant ED symptoms following treatment. Recent data from the TGH day treatment program indicates that about 40 percent of patients have current PTSD. WaterStone’s funding will help train staff about treatment protocols to assess and treat individuals with ED-PTSD. youth with severe eating disorders. CHEO’s Day Hospital Program (DTP) provides eight patients who are medically stable with group, family and individual therapy within an environment with psychological, medical and nutritional support five days a week. With matched funds from WaterStone Foundation and the CHEO Hospital Foundation, the Eating Disorder Day Hospital Program will be able to provide additional staffing, therapy and increased meal and family support. The program will be fully operational from 8am – 7pm Monday to Friday. Southlake Regional Health Centre serves over one million people in York Region, Simcoe County and Muskoka. The eating disorder program provides outpatient, day and inpatient treatment for adolescents and youth up to the age of 25 years of age. The Multi Family Group Therapy Program ( MFT) is designed for Children and Adolescents 13-18 years of age. MFT provides critical treatment and supports 6-8 families at different stages of eating disorder recovery. The group model reduces wait times and ensures quick, efficient delivery of treatment. MFT is a year-long commitment on an outpatient basis to help families understand the complexity of this illness by providing intensive therapy, education and support under the guidance of trained ED therapists. WaterStone Foundation’s funding provides critical ongoing support for Southlake’s Multi Family Group Therapy Program. More than 200 guests enjoyed a magical spring night under the stars at a private estate in Etobicoke on June 1, 2017. The event was WaterStone Foundation’s third annual Garden Party to raise funds and awareness for Eating Disorders. The evening raised $175,000 that will be directed to fund Eating Disorder programs offered by publicly funded institutions and individuals needing financial aid for treatment. Guests included Free the Children founder, Craig Kielburger, 96-year-old Equestrian Hall of Fame Inductee, Dorinda Greenway, and EVP of NBC Universal Television Canada, Ron Suter who gathered at John Scullion and Michelle Busic’s home in the Kingsway. Guests enjoyed live jazz by Steve Hagen, fine wines, five-star cuisine, fresh oysters and The Cheese Boutique’s finest offerings while strolling through the home’s sprawling gardens. 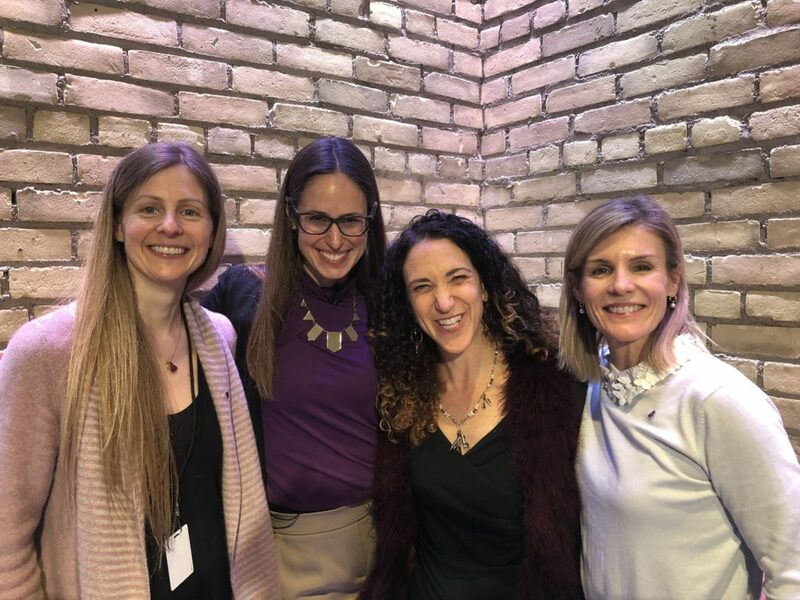 Eating Disorder specialist, Dr. Anita Federici spoke about a need for more funding in Canada for this mental health illness and WaterStone Board Member, Kelly Hall-Holland paid tribute to her magnetic young daughter who lost her battle with Anorexia Nervosa. London, Ontario resident John Dyson who has lived in a Transition House partly funded by WaterStone Foundation spoke about the challenges of living with an ‘invisible’ challenge of an Eating Disorder. Eating Disorders have the highest mortality of any psychiatric illness and is the leading cause of death for women between 17-24 years of age. As many as 600,000 to 900,000 Canadians meet the diagnostic criteria for an Eating Disorder at any given time. WaterStone Foundation was created when two families were met with hardships when their daughters were diagnosed with an eating disorder. While dealing with their struggles, the families realized the compelling need for innovative eating disorder treatment in Canada. Individuals with eating disorders frequently struggle with substance use problems, and the two issues can each complicate and worsen the other. Research suggests when these disorders occur together, recovery can be more difficult to achieve, and even risk of death can increase. Research on how to best help individuals with these co-occurring issues is sparse, and currently there is no OHIP-covered integrated intensive treatment in Ontario for individuals who have eating disorders and substance use problems. The Eating Disorder Program at Toronto General Hospital is collaborating with the Women’s Addiction Program at Toronto Western Hospital to design and implement the first intervention of this nature with WaterStone Foundation funds. This intervention will focus on helping individuals to understand the relationship between their eating disorder and substance use problem, and to learn and practice specific skills to help achieve and maintain long-term recovery. The Eating Disorder Program is part of the Centre for Mental Health at University Health Network, a group of University of Toronto-affiliated academic hospitals . The program has an international reputation as a center for excellence in treatment and research, and a long history of evaluating and revising treatment approaches in order to maximize and improve patient outcomes. Discharge from a hospital or residential facility in Canada for someone with an eating disorder can be extremely difficult if there is no effective hometown follow-up. Patients are often discharged from such programs with no interim “safe zone” or home-like setting to help to reintegrate back into their community in a meaningful step-by-step fashion. Without a sustained support system in place, patients can quickly resort to unhealthy coping strategies. With WaterStone support, The Eating Disorders Transitional Supportive Housing Program would provide a home in the community of London for individuals completing or who have completed treatment for an eating disorder and who are in need of further support to practice their skills learned in treatment in a normalized setting. The program would provide evening support staff who would provide at a minimum; meal support as needed, support with grocery shopping and support with referrals to community agencies, schools and employment as needed. Relaxation, yoga and mindfulness groups will be some of the groups offered onsite. 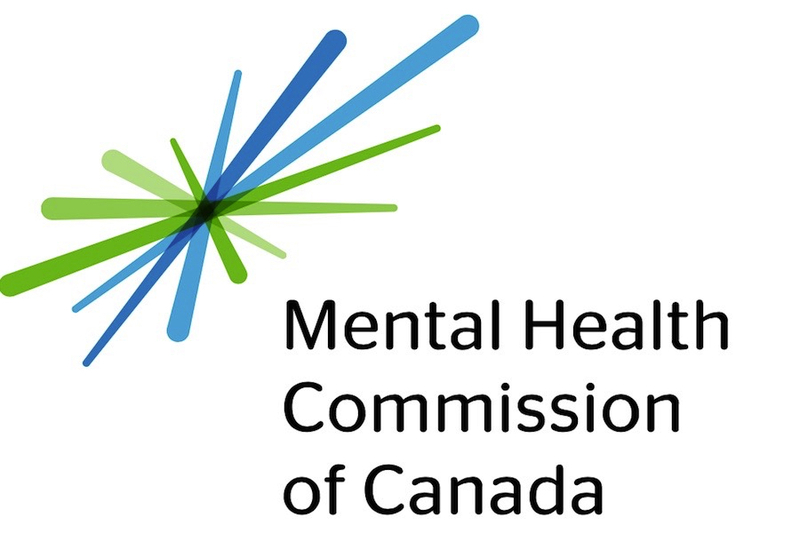 London Health Science Centre Adult Eating Disorder Program will work collaboratively with CMHA Middlesex to support the needs of mutual clients. Approximately half of adolescents with eating disorders recover while 50% continue to be affected by either subclinical eating disorders or a chronic illness course. Consequently, the majority of adolescents with eating disorders will require transition of care from pediatric to adult care services for management of their chronic illness. Unfortunately, those who do not make the transition to adult services successfully face increased morbidity and mortality. Currently, there is no standard procedure, protocol or pathway for transitioning adolescents to adult eating disorder services or research evaluating interventions to facilitate the transition. To help youth and their families navigate the process, the Eating Disorders Program at The Hospital for Sick Children (SickKids) will be using a grant from the WaterStone Foundation to help develop a transition program for young adult eating disorder patients and their families in order to maximize the likelihood they receive timely and appropriate care after leaving the pediatric system with the goal of maximizing health outcomes for young adults with eating disorders. The Eating Disorders Program at SickKids diagnoses and treats children and adolescents with eating disorders in inpatient, outpatient and day hospital settings. It is the primary treatment site for the central Toronto area and is a specialty centre for the province of Ontario. SickKids assesses up to 150 new patients each year and have over 80 active patients in its program at any given time. “Transition from pediatric to adult care is a challenging process for those suffering from eating disorders for a variety of reasons, including differences in treatment approaches, developmental issues and waitlists that decrease the chance of successful transition and positive health outcomes,” said Dr. Cathleen Steinegger, Head, Eating Disorders Program, The Hospital for Sick Children. Southlake Regional Health Centre has been appointed by the Ministry of Health as a leader in supporting the development of programing for children and adolescents with Eating Disorders. It has been providing services to children and families in York Region and Simcoe County for 17 years. Recent research shows that parents are crucial to their children’s success. Children have the best recovery outcomes when their families play a central role in their care. Southlake Regional Health Centre’s program offers three levels of care for families: outpatient treatment, day treatment and inpatient treatment. As part of its outpatient program, it has successfully run several Multi Family Group Therapy programs over the last 10 years. Up to eight families with children or adolescents at different stages of recovery from an eating disorder are treated, requiring a one-year commitment on an outpatient basis from families. These groups have reduced the Centre’s wait list and have insured quick and efficient delivery of treatment. With WaterStone funds, the Centre will be in a position to double the capacity of the Multi Family Group Therapy program by introducing another cycle of treatment. Copyright 2016, Information featured on this site should not be considered medical or professional advice. WaterStone Foundation will not be held liable for any misinformation. If you would like to reprint or publish any content, please contact us.